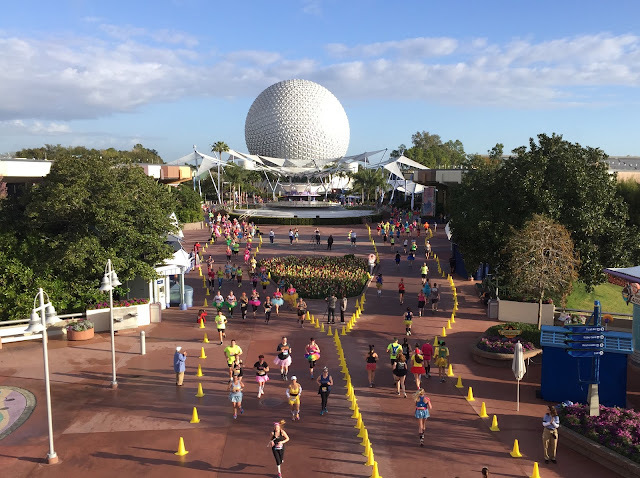 This past weekend, the Princess Half Marathon was held at Walt Disney World. I had several friends running so I decided to cheer them on. This race starts and finishes at Epcot, but it passes through the Magic Kingdom around the halfway point. While on the arriving monorail, I snapped this shot of the "home stretch." The runners seen in this shot were only a few short minutes from finishing the race.